Christmas themed books have been hitting shelves since October, which if you are like me thought was way too early to think about the holiday. You may have missed a few of the great tales we've already reviewed, but don't worry I have you covered with this round-up of recently released Christmas books. Plus, I've thrown in some of the books I've recently read, which is a mix of older titles that should be available through your library and free ebooks. This is a great book to read full of love and family and the quirky and often very funny people of the town. ~ Susan Roberts - read her full review. 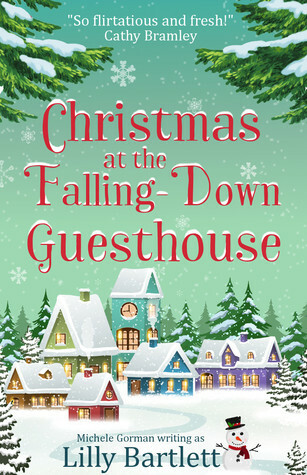 Christmas at the Falling-Down Guesthouse is a lighthearted comedy perfect for the holiday season. ~ Donna Huber - read my full review. Too bad the same can’t be said for single mother and extremely undomestic goddess, Lottie. When her beloved Aunt Kate ends up in hospital just before Christmas, Lottie and her seven-year-old daughter rush to rural Wales to take over her B&B. A picky hotel reviewer and his mad family are coming to stay, and without the rating only he can give them, Aunt Kate will lose her livelihood. 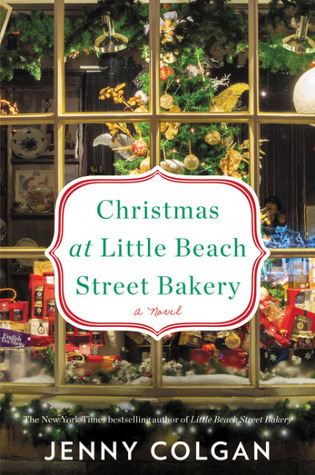 A charming story that will definitely put you in the holiday spirit. ~ Donna Huber - read my full review. For Charles Dickens, each Christmas has been better than the last. His novels are literary blockbusters, and he is famous on the streets of London, where avid fans sneak up on him to snip off pieces of his hair. He and his wife have five happy children, a sixth on the way, and a home filled with every comfort they could imagine. But when Dickens’ newest book is a flop, the glorious life he has built for himself threatens to collapse around him. His publishers offer an ultimatum: either he writes a Christmas book in a month, or they will call in his debts, and he could lose everything. 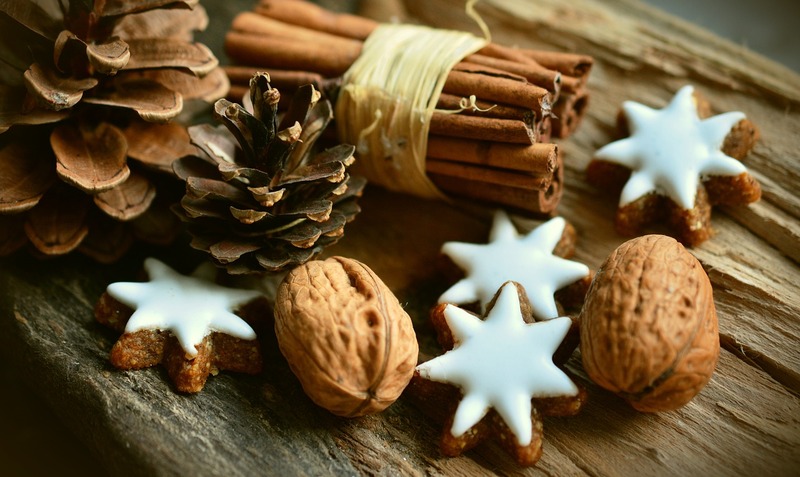 Grudgingly, he accepts, but with relatives hounding him for loans, his wife and children planning an excessively lavish holiday party, and jealous critics going in for the kill, he is hardly feeling the Christmas spirit. Increasingly frazzled and filled with self-doubt, Dickens seeks solace and inspiration in London itself, his great palace of thinking. And on one of his long walks, in a once-beloved square, he meets a young woman in a purple cloak, who might be just the muse he needs. 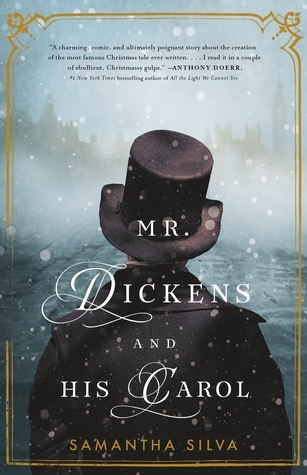 Eleanor Lovejoy and her young son, Timothy, propel Dickens on a Scrooge-like journey through his Christmases past and present—but with time running out, will he find the perfect new story to save him? In prose laced with humor, sumptuous Victorian detail, and charming winks to A Christmas Carol, Samantha Silva breathes new life into an adored classic. 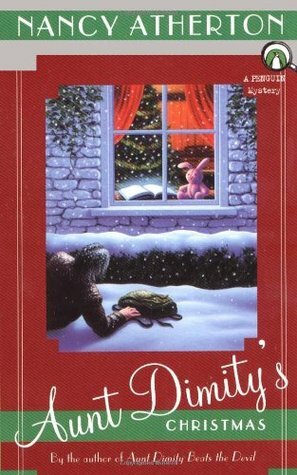 Perfect for fans of Dickens, for readers of immersive historical fiction, and for anyone looking for a dose of Christmas cheer, Mr. Dickens and His Carol is destined to become a perennial holiday favorite. 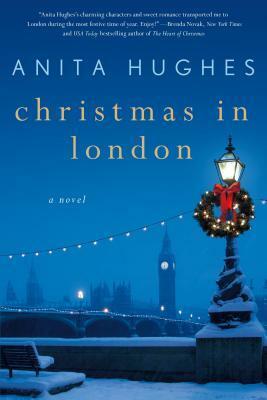 It didn't take long for me to get into the Christmas spirit in this delightful novel that takes the reader to London with all of its Christmas decorations and snow and overall beauty. ~ Susan Roberts - read her full review. I loved this family and I loved this novel - put it on your TBR lists, you don't want to miss it. ~ Susan Roberts - read her full review. In close proximity, not much can stay hidden for long, and as revelations and long-held tensions come to light, nothing is more shocking than the unexpected guest who’s about to arrive. 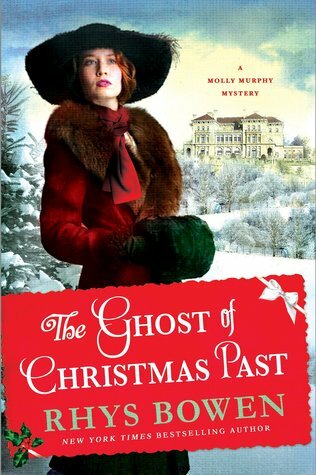 The Ghost of Christmas Past will provide the enjoyable escape one needs from the chaotic holiday season. ~ Donna Huber - read my full review. Semi-retired private detective Molly Murphy Sullivan is suffering from depression after a miscarriage following her adventure in San Francisco during the earthquake of 1906. She and her husband, Daniel, are invited for Christmas at a mansion on the Hudson, and they gratefully accept, expecting a peaceful and relaxing holiday season. Not long after they arrive, however, they start to feel the tension in the house’s atmosphere. Then they learn that the host couple's young daughter wandered out into the snow ten years ago and was never seen again. Molly can identify with the mother's pain at never knowing what happened to her child and wants to help, but there is so little to go on. No ransom note. No body ever found. But Molly slowly begins to suspect that the occupants of the house know more than they are letting on. Then, on Christmas Eve, there is a knock at the door and a young girl stands there. "I'm Charlotte," she says. "I've come home." 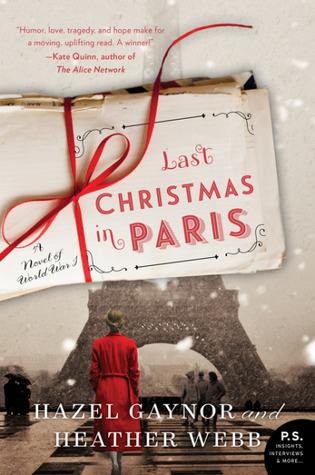 Last Christmas in Paris is a fantastic book. ~ Susan Roberts - read her full review. August 1914. England is at war. As Evie Elliott watches her brother, Will, and his best friend, Thomas Harding, depart for the front, she believes—as everyone does—that it will be over by Christmas, when the trio plan to celebrate the holiday among the romantic cafes of Paris. Evie and Thomas experience a very different war. 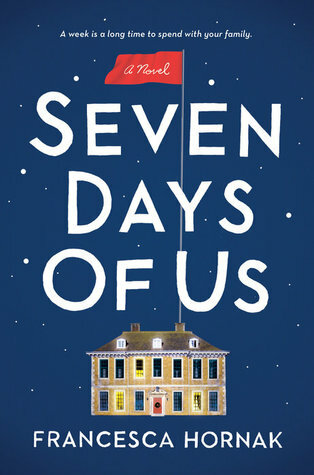 Frustrated by life as a privileged young lady, Evie longs to play a greater part in the conflict—but how?—and as Thomas struggles with the unimaginable realities of war he also faces personal battles back home where War Office regulations on press reporting cause trouble at his father’s newspaper business. Through their letters, Evie and Thomas share their greatest hopes and fears—and grow ever fonder from afar. Can love flourish amid the horror of the First World War, or will fate intervene? Christmas 1968. With failing health, Thomas returns to Paris—a cherished packet of letters in hand—determined to lay to rest the ghosts of his past. But one final letter is waiting for him. 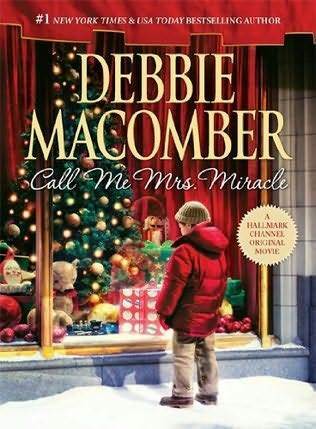 It isn't Christmas without a Debbie Macomber book and I've recently read two! I really enjoyed this sweet story. It made me wish I had the Hallmark Channel. This Christmas, Emily Merkle (call her Mrs. Miracle!) is working in the toy department at Finley's, the last family-owned department store in New York City. And her boss is none other than…Jake Finley, the owner's son. For Jake, holiday memories of brightly wrapped gifts, decorated trees and family were destroyed in a Christmas Eve tragedy years before. Now Christmas means just one thing to him—and to his father. Profit. Because they need a Christmas miracle to keep the business afloat. Fortunately, it's Mrs. Miracle to the rescue. Next to making children happy, she likes nothing better than helping others—and that includes doing a bit of matchmaking! This Christmas will be different. For all of them. If you aren't keen on holiday romances, then this would be a great book to pick up. It is a touching mystery that is really about learning what is most important at Christmas. 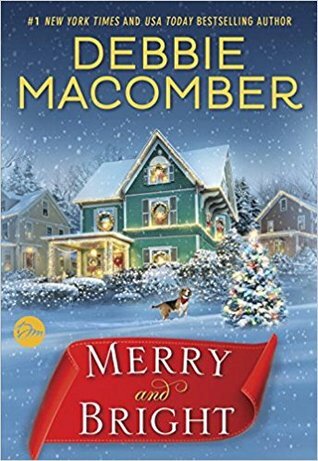 Lori Shepherd can hardly wait to celebrate Christmas this year with her husband, Bill and twin sons in the beautiful cottage willed to her by Aunt Dimity. Then Lori makes a disturbing discovery beneath the cottage's snow-covered lilac bushes -- the body of a mysterious stranger, barely alive. Lori must put her plans on hold to team up with Julian Bright -- a devilishly attractive Roman Catholic priest -- to seek out the tramp's identity. Their adventure takes Lori and Julian from abandoned World War II airfields to homeless shelters -- places where the Christmas star shines dimly, if at all. Finally, Lori unveils the tragic secret that led the stranger to her door, and must confront painful truths about herself and the true meaning of a perfect family Christmas. The short chapters will keep you up past your bedtime (just one more chapter!) as you become engrossed in the lives of the characters. Beware you may need a tissue or two. When I was in seventh grade, my English teacher, Mrs. Johnson, gave our class the intriguing (if somewhat macabre) assignment of writing our own obituaries. Oddly, I don't remember much of what I wrote about my life, but I do remember how I died: in first place on the final lap of the Daytona 500. At the time, I hadn't considered writing as an occupation, a field with a remarkably low on-the-job casualty rate. What intrigues me most about Mrs. Johnson's assignment is the opportunity she gave us to confront our own legacy. How do we want to be remembered? That question has motivated our species since the beginning of time: from building pyramids to putting our names on skyscrapers. Second, I wanted to write a Christmas story of true redemption. One of my family's holiday traditions is to see a local production of Charles Dickens's A Christmas Carol. I don't know how many times I've seen it (perhaps a dozen), but it still thrills me to see the change that comes over Ebenezer Scrooge as he transforms from a dull, tight-fisted miser into a penitent, "giddy-as-a-schoolboy" man with love in his heart. I always leave the show with a smile on my face and a resolve to be a better person. That's what I wanted to share with you, my dear readers, this Christmas -- a holiday tale to warm your season, your homes, and your hearts. 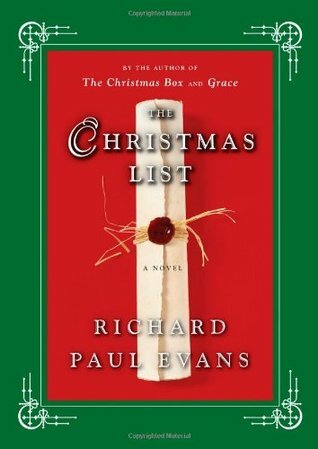 Not my favorite of her Christmas books, it is still a good read. I was a bit shocked that I was able to check out a copy from library before Christmas as this just came out a couple of months ago. This is a very sweet Christmas story. I love how the community came together to help one another. When a struggling young single mother saves the life of an elderly woman, she sets into motion a series of events that will test her strength, loyalty, and determination, all the while setting her on the path to finding true love. Christine Eisley is the mother of seven-year-old Zach and five-year-old Haley. Her ex-husband provides little, if any, child support and makes life difficult for Christine by using the children as pawns. She works long hours as a waitress to make ends meet, but her job is in jeopardy because she’s often late to work due to the unreliable teenaged sitters she’s forced to use. When Christine saves the life of a woman who works in Wilson’s department store, the owner of Wilson’s wants to find her, to thank her, but Christine has disappeared, losing another job once again. He sets his grandson, Jason, to the task of finding the mysterious “Christy.” Jason, an accountant by trade who has lost his job to downsizing, thinks he is “above” working at Wilson’s. Soon, he discovers that this new task gives him more than he bargains for. 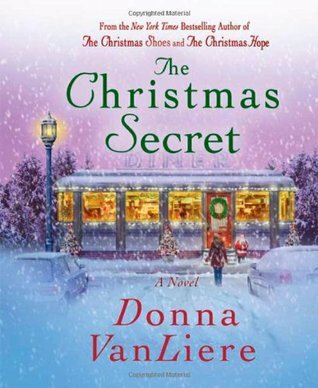 The Christmas Secret is a novel for anyone who wants to see how love is a gift that keeps giving back; that hope is a treasure that never runs dry, and that faith is a miracle that is reborn with each new day. If you are looking for a holiday read, then any of these would be great to pick up I have a few more on my Nook waiting to be read especially since I picked up several on the free list this week. I would love to know what Christmas books you are reading this season as I can't get enough of them. Wonderful list - I've read several, now will have to seek out the rest!